From body lotions that advertise the skin care benefits of hemp oils to dog treats with CBD that promise to calm your pup, and CBD tinctures that claim to aid ailments from anxiety to muscle pains—products that take advantage of the benefits of its compounds are in vogue. CBD, or cannabidiol, is one of at least 12 naturally occurring cannabinoids found in the cannabis plant. It's purported to have many therapeutic qualities, including lowering anxiety and easing muscle pain. Like THC, the cannabinoid that gets you high, CBD works by effecting the body's endocannabinoid system; however, CBD does not have any psychoactive effects. Despite all the fanfare, CBD health claims are not validated by the Food and Drug Administration, and few scientific studies have been done in the US on its use as a medicine. Still, studies from other nations and a wealth of anecdotal evidence suggest that it can be a very effective treatment for conditions such as epilepsy, inflammation and depression. Most CBD products on the market come from hemp, a variety of the cannabis plant that is legally defined as cannabis having lower than .3% THC. (Psychoactive cannabis has more like 20% THC.) It is legal to purchase CBD products made from hemp throughout the US without a medical marijuana card. 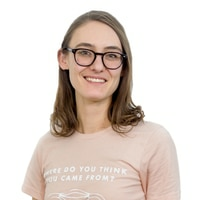 Micah Helman, retail manager at the Fruit of the Earth Organics' CBD store located adjacent to the dispensary, tells SFR not all CBD products are created equal. There's a difference between the high-quality hemp grown specifically for CBD, and industrial hemp that is grown for fiber used to make products from paper to textiles and is typically very low in cannabinoids. According to Helman, some companies are cashing in on the CBD craze by selling products made with low-grade industrial hemp oil. To be sure you're getting the real deal, Helman advises finding out where the product is sourced and checking for milligrams of CBD and dosage, and a certificate of analysis drawn from a lab report to be sure you are buying a quality product. Should you buy full-spectrum or isolate? Some industry professionals say the wealth of cannabinoids in the full-spectrum oil make the body more receptive to the effects of the CBD. But Helman also says the isolate can be better for some conditions and is considered safer for children. Yes, it's true, you can now get CBD products for your pets too. Orlando Hurtado, an employee at The Critters and Me, says it is especially useful for older dogs with joint issues, pets with cancer and pups who get overly excited. 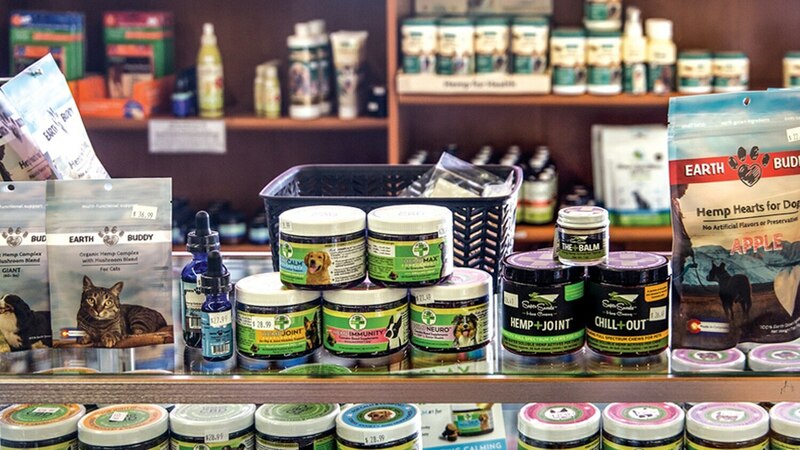 The Critters and Me is one of the only pet stores in Santa Fe that carries a full variety of CBD products including treats, pellets and infused salmon oil. Here at SFR, we can say that anecdotally, we've given CBD oil to our dying pets, and it's absolutely helped them sleep through their last days. But if you ask your vet, you are unlikely to get a straight answer. "I never recommend products to clients that aren't FDA approved, but I definitely see great promise for the future," Jennifer Steketee, a veterinarian and the executive director of the Santa Fe Animal Shelter, tells SFR. She adds that she has had success treating her own epileptic cat with CBD oil. You might have more luck getting guidance from a holistic animal practitioner, says Catherine Davis, confounder of Santa Fe startup Wattadog, whose first product is a full-spectrum hemp oil for dogs. CBD is shrouded in legal ambiguity. Like all other marijuana-derived products, the cannabinoid was classified as a Schedule 1 substance (on the same level as heroin and cocaine) until the 2018 Farm Bill decriminalized the production of hemp at a federal level and opened the door for individual states to create their own legal frameworks for the industry. But sales of CBD still exist in a legal gray zone because it has not been approved by the FDA, and some states have been cracking down on retailers selling the product in recent months. Growing hemp has been legal in New Mexico in some cirumstances since 2017, but manufacture of hemp-derived products remained in limbo until this legislative session, when Gov. Michelle Lujan Grisham signed the Hemp Manufacturing Act. Sponsored by state Rep. Derrick J Lente, D-Sandia Pueblo, the bill provides a regulatory structure for the production of hemp products. "We have a very good climate for growing hemp in New Mexico," Lente tells SFR by phone, "because it grows well in drought, requires very little water. It's a high-value crop that will compete with chile and pecans. The hope is that this will rejuvenate the agricultural industry and bring more youth into farming, because it allows them to make real money." Get SFR's monthly Leaf Brief email to stay up-to-date on cannabis coverage.